Root, a word that canÂ simultaneouslyÂ bring fear and joy into the heart of an android user. Fear, in those that don't really understand what it is, or why people crave it and joy, in those that fully understand its wealth, and crave its power! Me? I'm one of the latter, although there are many, many people who understand it more than me, as a simple user I very much crave root. For me the biggest benefit is being able to backup and restore all my apps (and automatically have this backup synced to my Dropbox too), as well as bein able to remove those pesky and never-used system apps that come pre-installed on my device. I literally can't live without these, but there are many other reasons too (I won't get into these here). As most of you might know, I picked up my Samsung Galaxy SIII on Thursday 31st May (a trulyÂ joyousÂ occasion! ), and my first thought? I need Root!! Well, there were actually methods of rooting this phone before it even came out (yes, the devs in the android community ARE that damn good!). One of the most well-known names in the android dev community goes by the name ofÂ Chainfire, and to say he is somewhat of a legend within the Samsung dev-scene in particular, is my biggest understatement of the year! Well Chainfire, as a name you can trust, has released a very simple and straight-forward method to root the Samsung Galaxy S3. I've just gone through this procedure andÂ canÂ confirm it's simple, easy and very fast. It consists Â of two steps, the first flashing clockworkmod recovery, the second using this recovery to flash superuser. As the method may be updated on an ad-hoc basis, I though it better to link to the specific thread over at XDA rather than reproduce the steps here, but as long as you follow the steps TO THE LETTER, you should be fine. But as always, doing anything like this with your phone is at your own risk. 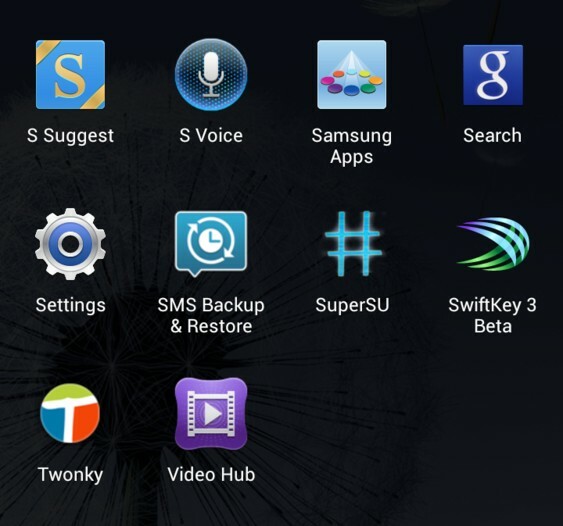 To follow the guide and root your Samsung Galaxy SIII, simply click here. If you have any questions on the rooting process, or need clarification over any of the steps feel free to post a comment here, or contact me on twitter and I'll be happy to help in any way I can. Good luck flashing, and hope you guys enjoy your great new phone!